Introduce the whole family to Sri Lanka’s cultural and natural beauty on this sensational 13-night small group escorted tour. 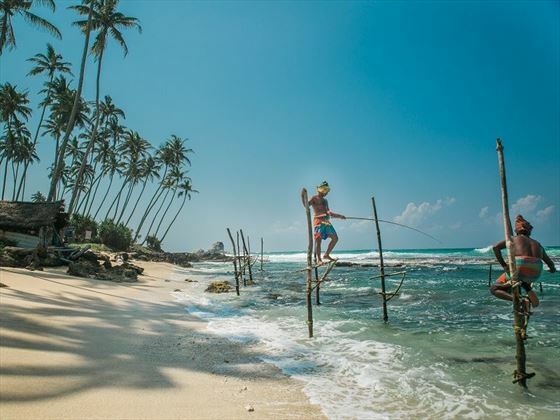 Starting in Negombo and ending in Colombo, this wonderful trip fuses adventure, history and relaxation into one, offering something both kids and parents will love. Whether it’s exploring colourful temples in Dambulla and visiting orphaned elephants in Udawalawe, or learning all about the country’s tea culture and looking for leopards in Udawalawe National Park, you’ll come home with so many incredible memories. Don’t forget dining with local families and unwinding on sparkling beaches too – this adventure is simply brimming (INT - HHFL). Enjoy time on the beach in Tangalle with pinch-me moments. Upon arrival in Negombo, you will have plenty of free time before your group welcome meeting at 6pm, where you will need your insurance details and next of kin information. After a delicious breakfast, you will drive three-four hours to Dambulla – a large town nestled in the heart of Sri Lanka’s cultural triangle. Here, your jaw will drop as you explore vividly decorated cave-temples, before wandering along to the Palwehera area to sneak a taste of its famous mangoes, and relax in your eco-friendly accommodation. The evening is free for you to rest. The day will begin with a drive to Sigiriya, the perfect spot to get some fresh air as you climb and walk to the top of the ginormous Lion Rock and explore its ancient fortress. Afterwards, you will journey to Dambulla, where you can cycle around the town. 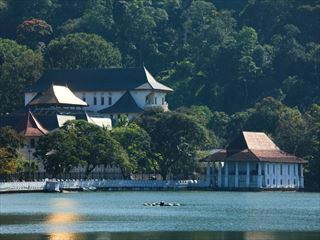 Take a 3 hour drive this morning towards beautiful kandy, often recognised at the cultural capital of Sri Lanka. Spend the afternoon at the spectacular Peradeniya Botanical Gardens to marvel at the incredible orchid collection and huge fig tree. We find that the kids love running around this luscious garden, and they also love learning the steps to authentic Kandian dancing with local performers in the evening. 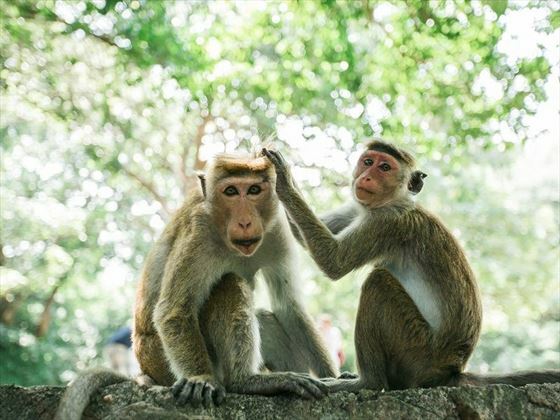 You will need to take your hats and shoes off when entering the temple, but don’t leave them at the side of the road – otherwise a monkey will steal them. We’d recommend popping them into your rucksack or paying a small fee to store them with the shoe keepers. We’re certain you’ll fall in love with this charming city. Brimming with lively markets, quaint shops, a stunning lake and sensational restaurants, there’s much to do here. In the morning you will visit Dalada Maligawa (otherwise known as the Temple of the Tooth), which is home to the country’s most sacred relic – a tooth that is said to be Buddha’s. This morning you will leave Kandy and make the journey by private vehicle to towards Nuwara Eliya. After 3 hours you will make a quick visit of this old British hill station is considered the heart of the tea growing industry here in Sri Lanka, and is teeming with classic colonial charm. 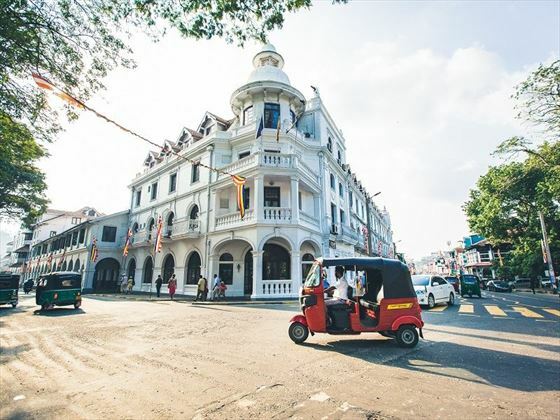 The area was once referred to as ‘Little England’, thanks to its mix of water buffalo and brick Victorian buildings, as well as the sprawling golf courses and tea plantations. On your way to Nuwara Eliya, you will get the chance to marvel at the striking Devon and St Clair’s waterfalls. The first is a 97-metre-high waterfall deemed the most scenic in the country, whilst the latter is (perhaps exaggeratedly) named the ‘Little Niagara of Sri Lanka’. After a few days on the road, today runs at a bit of a slower pace which allows you to explore Bandarawela at your own pace. 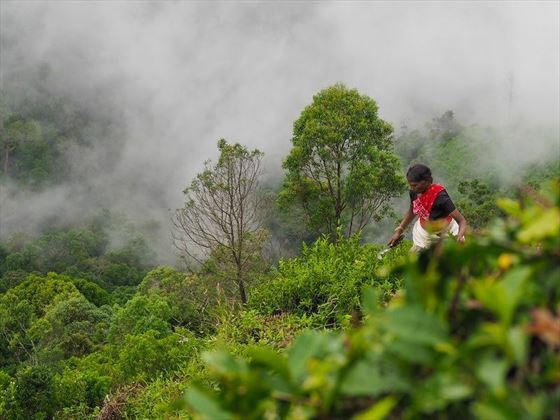 Bandarawela is a hill-country town that exists to supply the needs of the tea plantation workers and their families. Enjoy a leisurely morning walk through the countryside, past tea pickers plucking the tips of the plants and throwing them into the baskets on their backs. The afternoon is free for your enjoyment – you could always get the family together and challenge some of the locals to a friendly game of cricket. A hearty breakfast will set you up for the day. At 9am, you will drive around three hours to Uda Walawe National Park, a simply beautiful area brimming with wonderful wildlife and birdlife. With more herds of wild elephant than anywhere else in the country, there’s no doubt you’ll see these magnificent creatures wandering around. The family will love visiting the Elephant Transit Home to learn more about this wonderful animal. Run by the Sri Lankan Department of Wildlife Conservation, this is a brilliant shelter for orphaned or abandoned baby elephants to recuperate before being released into the wild. You’ll arrive at a viewing platform at feeding time to see the elephants up close, before hopping on a jeep for a safari through the park. 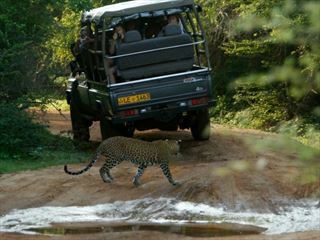 Macaques, spotted deer, crocodiles, large monkeys and even leopard prowl these parts, giving everyone a thrill. Today is at your leisure, with plenty of time to relax and enjoy the lovely waterfront of Marissa. After breakfast, you will journey towards Colombo, stopping for a wander around the Tangalle fish market en route. There’s also a chance to visit the Royal Dutch Fort in Galle, before arriving in Galle for lunch. From here, you’ll have a few hours to lounge around in the sun. Today marks the end of your tour. There are no activities planned for today, so you can depart anytime. Please note the minimum age for this tour is 5 years old. This exciting five-night private guided tour gives you a taste of what Sri Lanka has to offer and includes visits to Anuradhapura, Polonnaruwa, Dambulla Cave Temple and Kandy. Breakfast and dinner and a choice of Standard 4* or Deluxe 5* accommodation throughout is included in the price. This incredible all-inclusive multi-centre takes you on a journey into Wilpattu National Park one of Sri Lanka's largest & most beautiful wildlife grounds, where leopards, elephants, crocodiles, sloth bears and many more animals can be found. After your two night safari, sit back & relax at the 4* Club Hotel Dolphin. 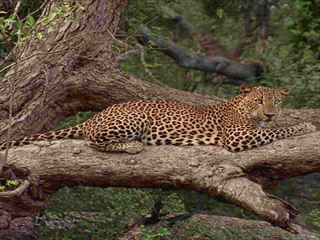 Spend two nights on all-inclusive at Leopard Safari Camp, where you will spend your days at Yala National Park in search for leopards, elephants, monkeys and many more animals. Then spend seven-nights at the luxury 5* hotel, The Fortress located in Galle including breakfast.